What the Hell is Inquiry, anyway? The problem with these words is that when we first start using them, we get it. We know what we mean and we assume that everyone else has the same definition. Inquiry simply means the process of asking questions and getting answers. It could be something as simple as asking a reference librarian where a particular book is, or it could be something a little deeper like figuring out the answer to the meaning of life. The problem is that there are a lot of subtleties in that spectrum and some people seem to think that the word inquiry fits a particular point along the spectrum, but not necessarily the full spectrum. This was highlighted to me when I was reading John Spencer and AJ Juliani’s book Launch. At one point, they innocently state, “However, their wonder will lead to inquiry, then research, and eventually a product idea.” (p70) I will admit that my head exploded on a certain scale. If inquiry is asking and answering questions, then isn’t research inquiry? Now, I recognize that Spencer and Juliani are talking about a process where the understanding starts broad and then goes deeper, but that distinction between inquiry and research makes me wonder what kinds of conversations I’ve had with people where we might be expressing entirely different things. In the context of pedagogical design, these are important distinctions! If one of us is thinking, “We need them to ask great questions so that they can come to a basic understanding of the concept,” and the other is thinking, “The students need to be able to drill down, ask the hard questions, and wrestle with the fundamental issues within this concept,” we are looking for two vastly different outcomes and the approach we need to take is also fundamentally different. So, my question to you all is this: What do you mean when you use the word “inquiry?” When you talk about PBL, Design Thinking, Guided Inquiry, or Inquiry Based Learning, what do YOU mean? When you tell me that you’re doing an inquiry unit, or your kids are “doing inquiry,” what are you telling me? Please don’t copy and paste others’ definitions unless they are truly what you work from. I’m curious to know. I want to make sure that I’m having the same conversation. Thanks in advance! You probably can guess where I stand. I believe that Inquiry comes in many forms but what we want to strive for is students asking their own deep questions to dig in deeely and uncover answers, new ideas, and more questions. In this way Inquiry becomes how people learn and a core way to understand the world, themselves and interactions within it. I could probably say a whole lot more(like a couple books worth…) but You’re hoping to get some short definitions. P.S. Do you think Juliani and Spencer define Inquiry as solely the act of asking questions? Seems like it in that quote … do you recommend Launch? It’d be interesting to see the gamut of those quick writes. You don’t happen to keep them do you? As for Spencer and Juliani, I’m too early in the book to make any conclusive judgements, so if the authors are out there reading this, PLEASE feel free to correct me! I’d picked up Launch and have Empower on my to read shelf because I felt that this might be the missing book out there that actually talked about framing the inquiry part of the Design Thinking process. There seemed to be enough in what I’d read about the book(s) that dealt with Design Thinking as an actual educational model that there might be something about scaffolding the actual skills associated with inquiry. While there is a lot about developing curiosity and asking good questions, I don’t feel like it goes as far as I’d hoped in terms of the skill development piece. It overlays with GID pretty well and you might be interested from that standpoint. As I mentioned on Twitter, I was just having this conversation with someone the other day discussing the difference between Inquiry and inquiry. 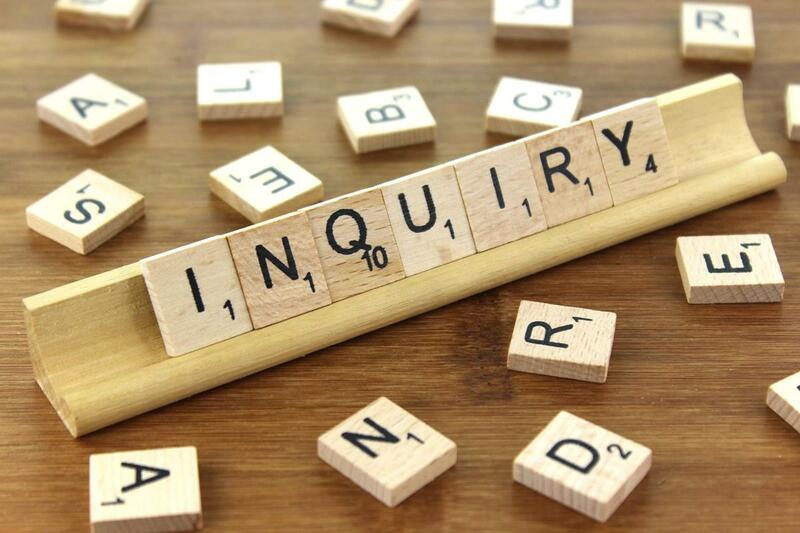 This conversation came from some frustration around the idea that if we want students to inquire, we must use Inquiry in the sense that we must design a formal inquiry experience that guides them into deeper learning. However, at times, we want to encourage students to simply inquire–or, be curious and ask questions–without the formal step-by-step process. When kids are little, they ask, “Why?” about everything, and while this is annoying, it’s also a way for them to get to know the world. My cousin’s two year-old inquires about the world tongue-first: he licks everything he touches to figure out what it is. Weird, but hey, he’s learning about his world through personalized, curiousity-driven, natural (if kinda gross) inquiry. On the other hand, students often expect education to come to them, and I think this is where capital ‘I’ Inquiry comes in: we design a learning experience that leads (shows?) them (how?) to inquire about a topic or their world. I do think it’s important for teachers to understand the difference between what I’ve called ‘natural inquiry’ and ‘capital “I” Inquiry’ because there are times where we want students to be naturally curious and bring an inquisitive disposition to learning activities and there’s times where we want students to participate in a structured Inquiry into a specific topic. Whew. Alright, maybe what I’m really trying to get at is that ‘inquiry’ is more of a disposition students bring to learning and ‘Inquiry’ is a teaching strategy that teachers bring to the classroom. I think an understanding of the two–particularly how to engage students’ natural inquiry more regularly and how to build on natural inquiry through formal Inquiry–leads to more meaningful learning experiences. I love the way you framed it here, Jenn! And I also think that this is part of what makes Guided Inquiry so appealing to me. It is definitely an Inquiry process, but the Third Space concept that is inherent in that process helps to create an Inquiry process that is closer to inquiry. It is, at its best, a door lickin’ Inquiry process! Looking at it from the other angle, I wonder if some of these other frameworks – the PBL, Design Thinking, and the like – aim to be inquiry with the assumption that the students will have the skills to get the kinds of answers they need, or if the scaffolding of the skills is so inherent in the process that it is assumed and not discussed. I wonder if we’re repeating the “Digital Native” mistake by assuming that students have skills that they may not. Thanks for taking the time to reply, Jenn!